Oatmeal. Pick up dog poop. Pray. Write. Not write. Curse writing. Pray. Write. Snack. Walk neighborhood dogs and pick up their poop. Salad. Write. Not write. Cook. Talk. Gym. 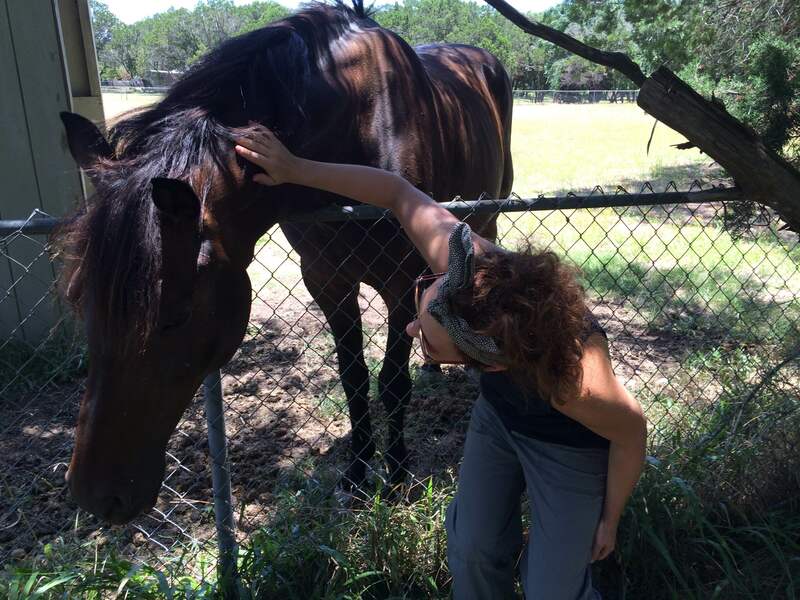 Almost cried because I’ve never hugged a horse before. Asked Benson to take pictures of me with the horse. Swam in a swimming hole with my husband and my dogs. Bought peaches on the side of the road. Had a frog jump onto my shin and stick there. Wow! Sounds like an amazing day! Am I just missing most of your blogs, or are you writing less these days? Pretty cool about a frog sticking to your leg. That made for an interesting sentence.